Apex industry body Cellular Operators Association of India (COAI) Director General said the problem is confined to geographical pockets and some companies. Industry body COAI has said call drops are a result of operator churn and difficulty in getting approvals for installing infrastructure and operator-specific issues on service quality are not "emblematic" of the whole industry. The comments come at a time when a spurt in call drops has once again come under the telecom departments gaze and Telecom Secretary Aruna Sundararajan is planning a meeting with operators soon to convey concern over call quality. Apex industry body Cellular Operators Association of India (COAI) Director General Rajan Mathews said the problem is confined to geographical pockets and some companies. It should not be seen as an industry-wide problem, he said. "Obviously there are some companies that have gone out of business and are not investing. If you are a customer of these companies, you'll see some challenges because towers are being shut down or not being maintained. To say its emblematic of the whole industry is not fair," Mathews told PTI. As an aggregate, these issues could be driving the overall averages down for the industry. All major operators are principally in compliance with service quality norms, Mathews argued citing data by the Telecom Regulatory Authority of India (TRAI). "We need to disaggregate the problem. Don't tar whole industry with the problem that has a couple of localised reasons. There are companies facing financial challenges more than others, some have gone out of business...," he said. Moreover, difficulty in getting approvals for rolling out cell towers and fibre network and "intervention" by local municipalities shutting down towers have compounded problems at the local circle level. "Some circles may be more problematic than others... Delhi, Mumbai may have problems because these have the significant right of way difficulties. Let's disaggregate the problem" he said. Mathews said that the industry has put a significant number of new cell towers to bolster network. Last week, in a stern message to telecom operators, the Department of Telecom (DoT) asked companies to get their act together to tackle the call drop issue. Sundararajan had said the DoT will meet the industry on the call drop issue as soon as Trai's assessment comes on quality of mobile services benchmarked to the new call drop parameters. 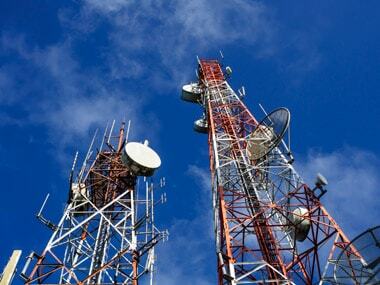 Acknowledging that mobile operators do face difficulty in setting up towers at times, given resistance from people, Sundararajan had said that it cannot be cited as an excuse for call drops and that investments will have to made by telecom companies in upgrading their infrastructure. Trai's new and more stringent call drop rules came into force from 1 October and the quarter ended December will see the first instance of reporting under the new formula. Trai has already asked the operators to submit their network-related data for checking service quality under the new benchmarks and deadline for the same is 21 January. As per the new rules, the telecom operators may face a maximum penalty of Rs 10 lakh for call drops which will now be measured at mobile tower level instead of the telecom circle level. The Telecom Department had, in a series of meeting over the last few quarters, asked telcos to adopt immediate measures to improve call quality including setting up additional mobile towers across the country. As per estimates, 6.35 lakh mobile sites (Base Transceiver Stations) have been added on an aggregate basis for 2G/3G/4G services during the period July 2015 to November 2017.